In every position, all door leaves can be swivelled out manually. This results in a maximum passage width, immediately. Apart from the standard safety -sensors, further precautions are taken for safeguarding people. Safety conformant clearances, but also round profiles prevent the jamming of fingers. 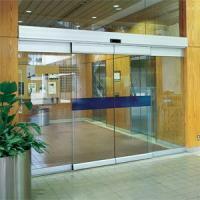 If all door leaves are swivelled out and pushed together, an opening of 95 % width of the total width is achieved. During the day, such doors are not noticed at all and at night they still offer the necessary protection. 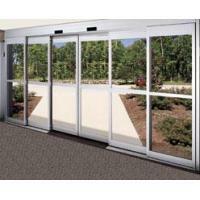 Even for a door that is completely -focused on safety, aesthetics does not come off badly. Slim, timeless profiles are an evidence of this. 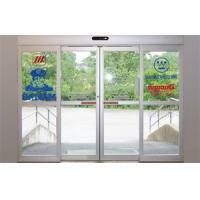 Shopping centres, post offices, hospitals, railway stations, airports, administration -offices, hotels, car show room etc. 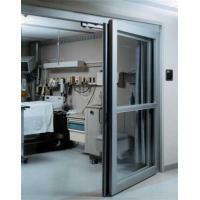 High safety for unhindered evacuation.